So... I've been pretty obsessed with digital distribution lately, especially considering Nintendo's Virtual Console*, so I thought I would cook up a new article series about games that have yet to show their face on the service. 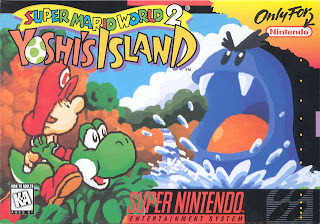 Super Mario World 2: Yoshi's Island is a game published by Nintendo that still hasn't shown it's face on the Virtual Console. I honestly thought it would've shown up by now, at least before Yoshi's Story did, but nope. I have owned this game both back when I had an SNES as a kid and the port to the GBA as a teenager, but I'm craving to play it again, and this time I won't be able to fall back to my bad habit of selling games if I get it on the Virtual Console. Yoshi's Island is a cutesy game, but its looks doesn't detract from its excellent gameplay and the 'just right' challenge of difficulty. 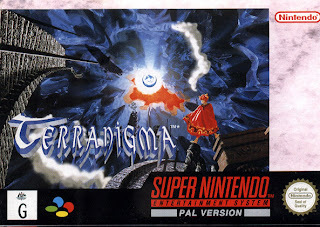 Terranigma actually never came out here in the states or Canada, but it would be an excellent game to release on the virtual console so those of us in North America can enjoy it. I watched a review of it on 16-bit gems and it piqued my interest. I feel like I should play more Action RPGs, and this one would probably satisfy my curiosity for the genre. Another action RPG, but a little more well-known, though not by much. Secret of Evermore is Secret of Mana's less popular little brother. This was also reviewed by 16-bit gems, but that's not why I became curious about it. I first saw this game in a retro game shop and the cover art on the cartridge really interested me. As I read up about the story, my curiosity only grew more. I hope that square enix will decide to release this gem on the VC eventually. You know this was coming. I've played Earthbound, most everyone here at PK Gaming has. I do not own a cartridge or anything, so I had to play it on *gasp*, an emulator. 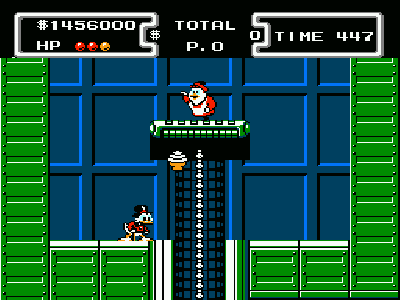 I wouldn't mind actually owning it on the Virtual Console though. Again, Roo explains why Nintendo might not have put it up on the VC just yet in his review. Though... I'm not buying the explanation really, I think Nintendo is just holding out on us. Why else would they keep Yoshi's Island back for this long? I'm suspecting that they're afraid they'll run out of games to release in the future so they're spacing them out very sparingly... but the Wii has already had a great run and its successor is just over the horizon... so what are they waiting for? Do they just want to keep those other unreleased VC games for the launch of the successor? *shrugs* Who knows. Anyway, those are my first five games that I wish will make it to the Virtual Console sometime soon. I'll do another article about this again sometime soon once I think of more games. While waiting for that, why don't you readers tell me a game that you have been wanting on the virtual console? *Comments about 'just play it on an emulator' will be ignored and eaten. I have been discussing this with people for quite a while and I feel that it may make a good debate topic in one of the upcoming podcasts, either PK Gaming's or on one of Negative World's podcasts. I would have said Pilot Wings 64, but I guess now that I have Pilot Wings Resort, it's not a big deal. LUFIA II: RISE OF THE SINISTRALS! Those are two that I've actually had in mind for a future article. I kept seeing Terranigma pop up in the "best of SNES rpgs" lists... so I emulated it. Honestly I didn't really care for it. Maybe it's due to coming off of Final Fantasy VI and Crono Trigger however it was nowhere near as good as those two. Imo at least. Further I only played maybe four hours so there is a liklihood it gets a lot better. It just felt really, really clunky compared to the likes of Crono Trigger... but most games do I suppose. Good way to start this series Paleo! Yoshi's Island is a no-brainer, it seems incredible to me it hasn't made it yet. I can't get enough of it. I would love to try out Terranigma and Secret of Evermore, haven't played them before. 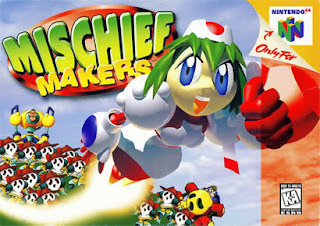 I've already played Mischief Makers and Earthbound and would gladly play them again on VC. I've heard good things about this game and never played it myself. My impossible list that dooms me to eternal disappointment and frustration. One of the few games that I used to own that I would double-dip on. It is a lost masterpiece by Capcom, made by the team that created Mega Man X. And it shows. 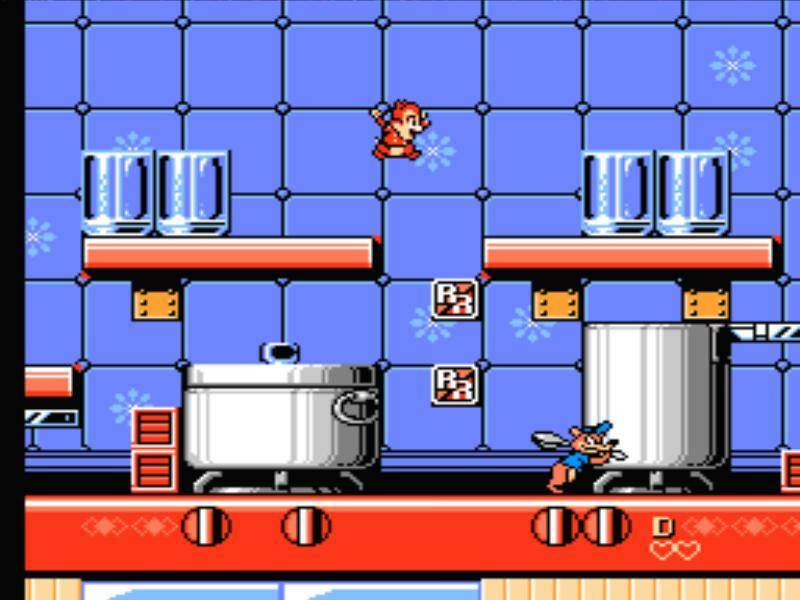 It is not as fast-paced, but the fantastic level design and the progression share many similarities. Except Demon's Crest is better, with beautiful dark gothic graphics and a superbly moody soundtrack. Come on, Konami, give to Nintendo gamers access to this game for the first time! Looks cool and full of action. Plus, two playable characters, one of whom has a spear! Same logic here: I want to play this game which has been denied to me forever! I don't care if it's the toughest Contra ever made, the bosses look fantastic. Maybe I'm being hypocritical here since I own the remake and yet haven't played it, but the NES looks rad, and certainly has a great reputation. @Guillaume Contra: Hard Corps is incredible. I think it would be more appreciated if it would just get ported to a newer platform sometime. I'm kind of disappointed Konami didn't capitalize on the opportunity to do so when Hard Corps: Uprising came out. 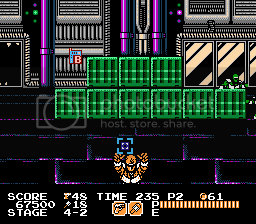 I like the NES Bionic Commando, but I've barely played the remake at all. Maybe it's because it's a remake of a game I've already played, but I just don't really care to play through it again, despite the new features and such. I've also found that I really prefer Umihara Kawase's brand of grappling-hook gameplay. Awesome suggestions so far guys! There's a lot I completely forgot about that haven't been on the VC yet. My friend was just mentioning Demon's Crest to me the other day. I suspect Yoshi's Island isn't on the VC for the same reason that Starfox isn't: the Super FX Chip. Just a hunch. I want EarthBound, FFIII (though we're getting that soon) and more arcade games. Damn, I could have sworn I saw Star Fox on the VC when I was looking on the shop channel. You can always ask me: I am acutely, painfully aware of each and every good game that is not on the VC. I wish I could forget. 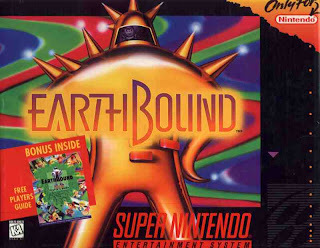 Earthbound is kind of an obvious one, why Nintendo... why? 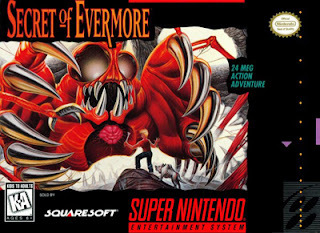 I'd also be interested in checking out Secret of Evermore, at the time I just thought it was a lamer Secret of Mana so I never played it, but now that the old school style of RPG is nearly dead, I think it'd be worth going back to. In that vein, I'd love to see Aladdin for Genesis. ah crap, Paleo beat me to it. 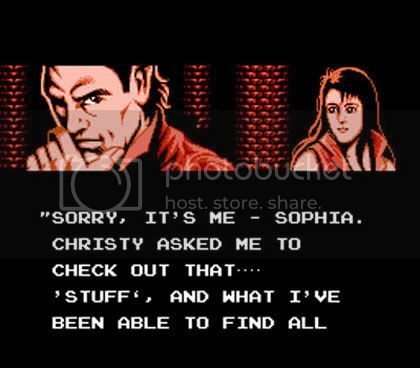 Castlevania: Bloodlines is alright. I don't want to say you're not missing much, because it *is* a good game. But in comparison to the games we got on SNES, and subsequent games on the portables and even Castlevania: The Adventure - ReBirth on WiiWare... it's not so hot. At least IMO. I'm a big fan of the series, but I wasn't really feeling this game. I can't put my finger on what exactly I don't like about it, but for some reason it just doesn't feel "right." It's better than Simon's Quest though, so there's at least that. Would love WCW/NWO Revenge, Wrestlemania 2000 or No Mercy. Harvest Moon 64. 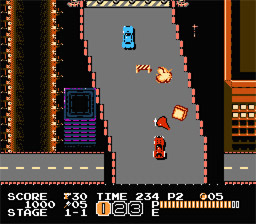 TMNT 2 and 3 (NES). Rock n Roll Racing. Yes, this is either Déjà vu or I'm getting confused with one of your many articles.